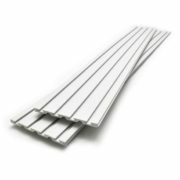 Gladiator provide a wide range of products to accommodate your garage storage needs. 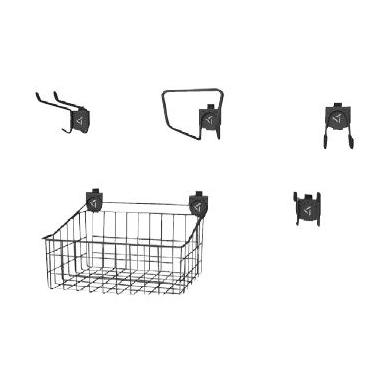 Some of the most popular items are shown below. 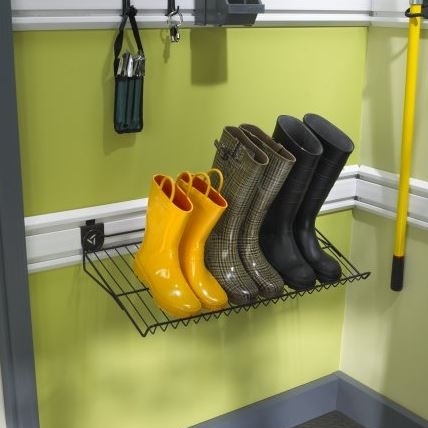 Contact iPower now to discuss your storage needs and to arrange a free site visit and quotation. 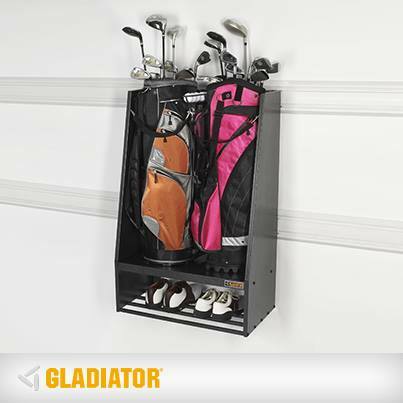 Wall panels provide the foundation for the Gladiator storage system. 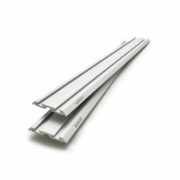 All Gladiator hooks, baskets, cupboards, and other wall accessories are designed to fit onto both GearWall and GearTrack, so they can be mixed and matched. 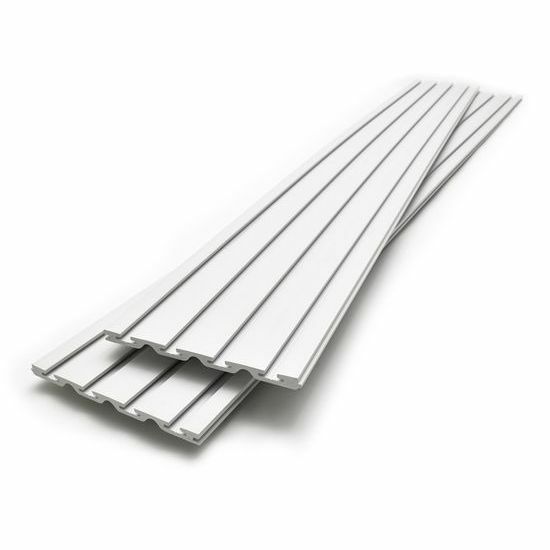 GearWall provides the most flexible foundation for Gladiator Wall hanger accessories. 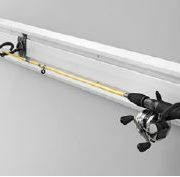 It provides limitless options for how the Gladiator hooks, baskets and cupboards can be configured to get your gear off the ground. 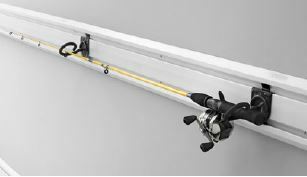 GearTrack is perfect for areas which don’t require the complete flexibility of GearWall for the storage options. 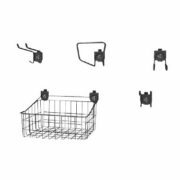 These kits are perfect to get you going with a range of different hooks, baskets, and accessories. 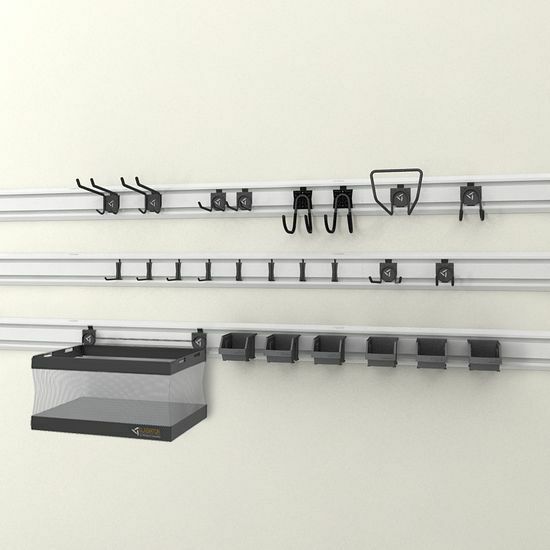 Combines a mesh basket, 6 trays, and a 18 hooks in a range of sizes, to clear up clutter and organise hardware and tools. 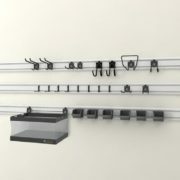 Combines a wire basket, and a 4 hooks in a range of sizes, to clear up clutter and organise hardware and tools. 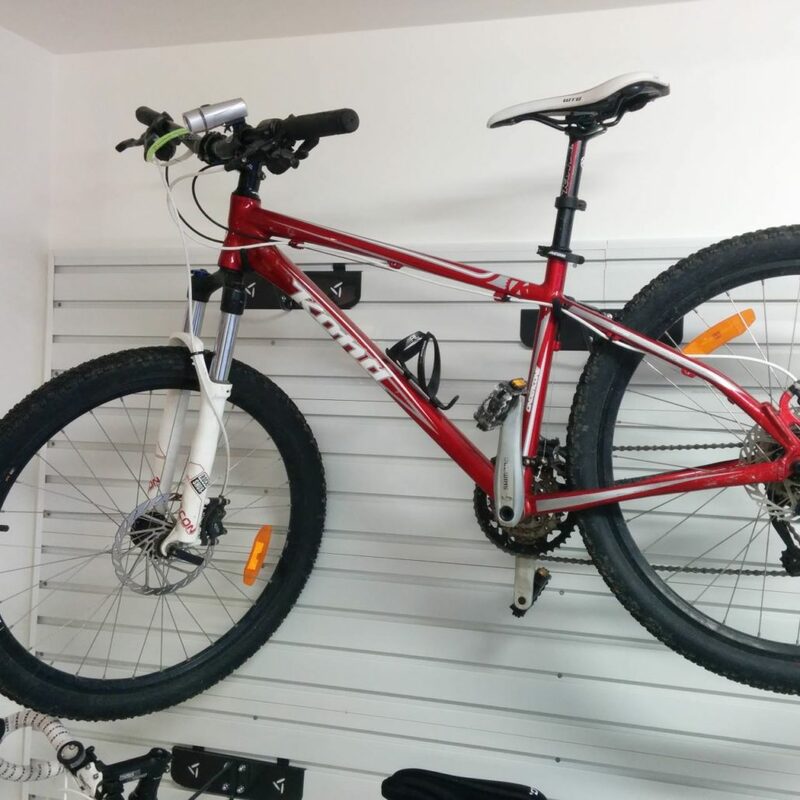 A range of specialty hangers are available to get your bulky sports equipment up onto the walls. 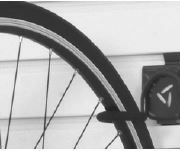 These clever and easy to use bike hangers get bikes out of the way and stored safely. Simply push the bike up to close the claws and push it up again to open and release. 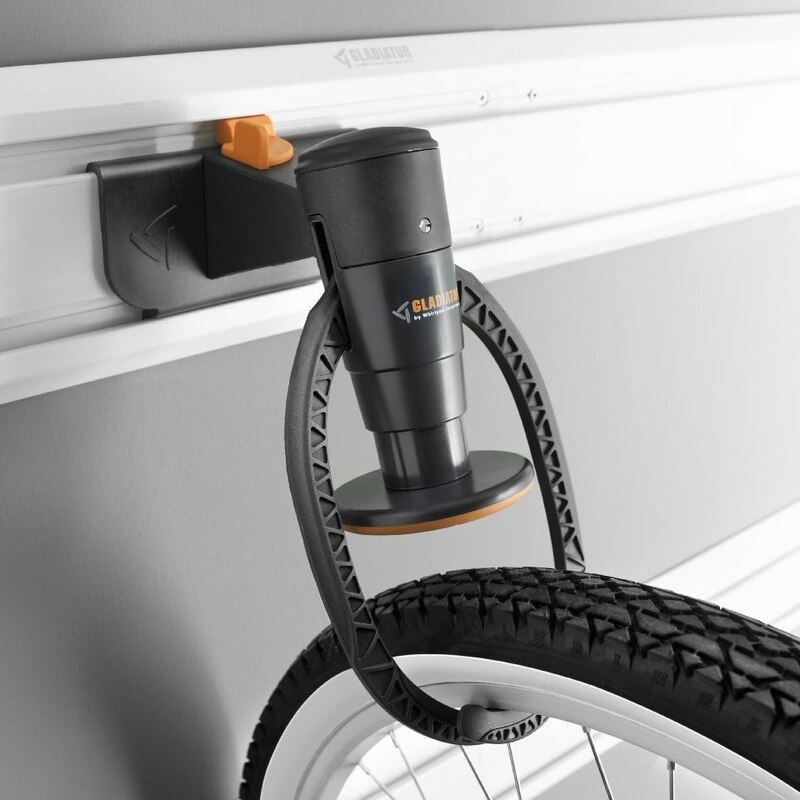 Get the bikes off the floor and hang them parallel to the wall with these bike hooks. Great for securing a bike perpendicular to the wall. 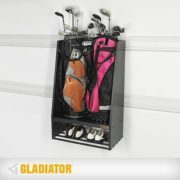 Great for golf bags, balls and shoes. Great for all types of shoes and boots.